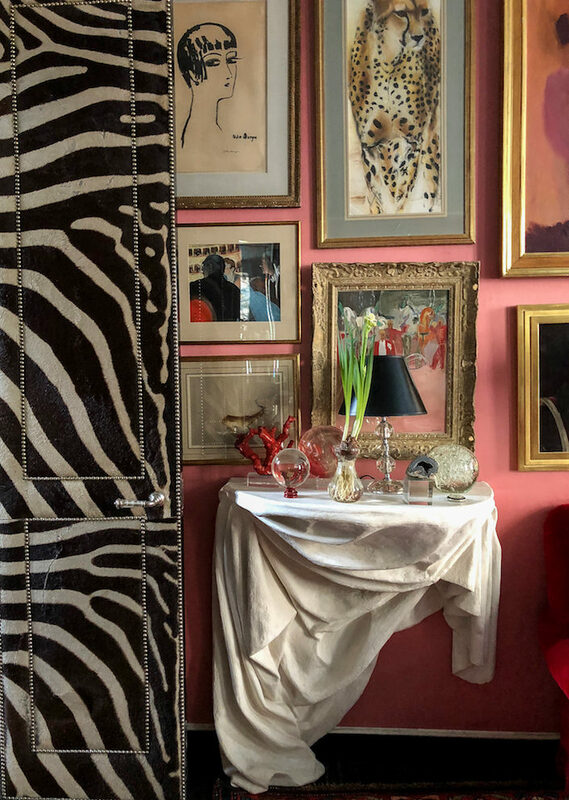 With a love of timeless style from fashion to film, a deep knowledge of design and decorative arts and an uncanny ability to mix high and low with aplomb, Miles Redd is a designer whose rooms glow with glamour and creativity. And no matter the style, his sophisticated take on how to live is infused with a joy and often whimsy that is distinctively his. 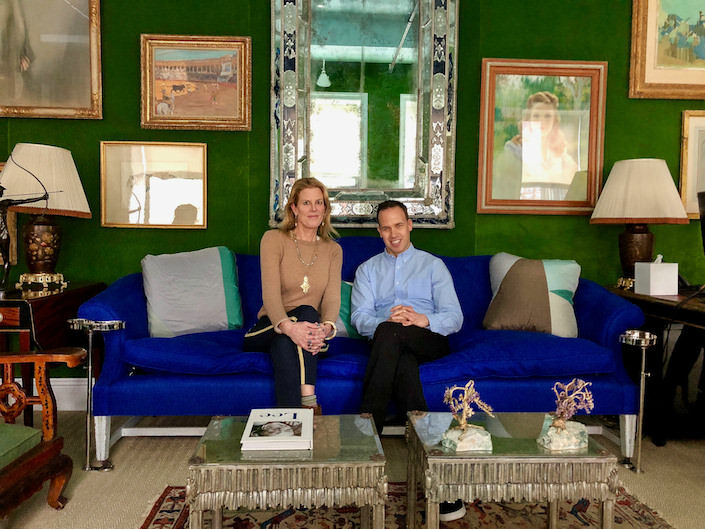 Tag along with me and Susanna as we visit Miles in his chic NYC townhouse and stylish new Chelsea office. Miles is a great example of maximalist decorating brimming with inventiveness and personality. Always looking back to move forward, he has the knack of knowing how to combine colors, scale and unlikely elements to the greatest effect. 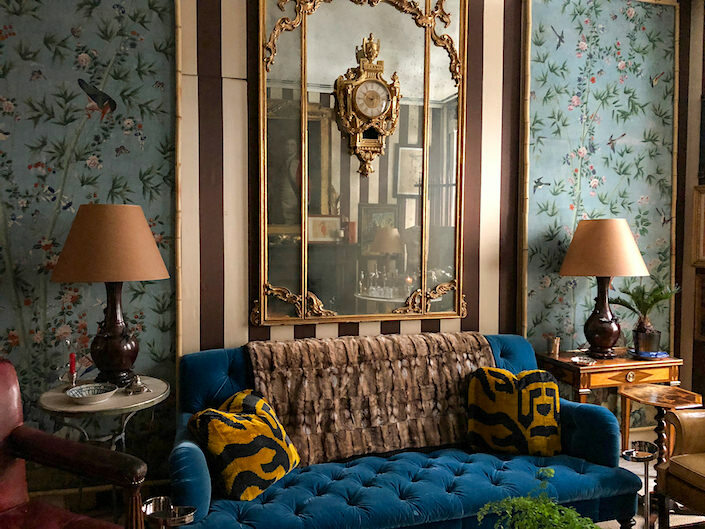 In his own home, inventive touches show just how how current timeless glamour can be. And in Miles’ world every surface is considered and no door goes unloved – a signature touch. Layers of art, accessories and thoughtful details are what distinguish Miles’ work with the perfect ying/yang of elegant femininity and bold masculine strokes. 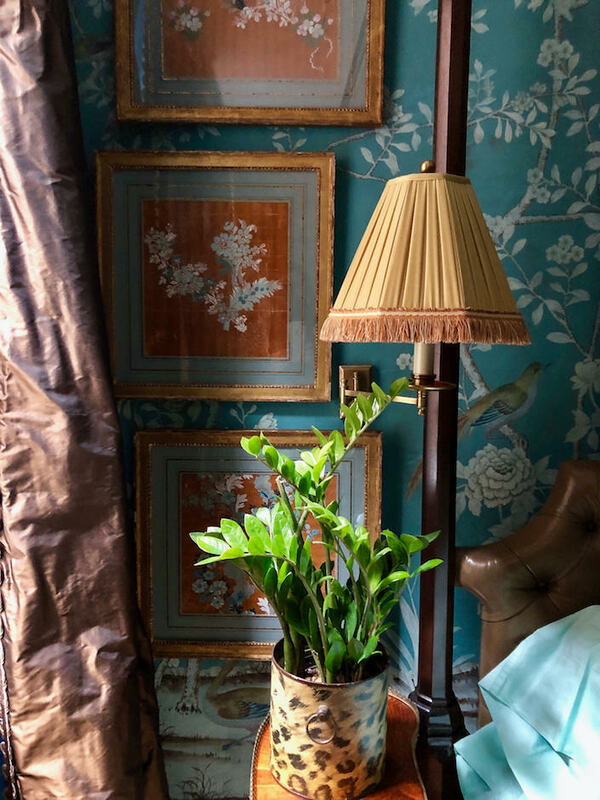 And it’s the same with his collection of fabrics, wallpaper and trims for Schumacher – our wonderful video sponsor. The first editor to feature Miles’ work, Dara Caponigro and Miles have had a long and productive history. And on the second day of her job as Creative Director of Schumacher, Dara called Miles to ask him to create a line for them. Happily he agreed and the collection is, not surprisingly, a vibrant and vivacious creative collaboration between two innovative and creative forces in design. So thank you Miles, we are thrilled to be able to share your exceptional talent and joie de vivre both at home and in your chic office!! This entry posted in At Home with, design, interior design, Quintessence video series, Stylish Shopping, video. Entry Tags: At Home with, design video, interior design, Miles Redd, Video Bookmark the permalink. Miles’ talent is an art as well as a gift. You captured so well the range of his aesthetic and his ability to layer, juxtapose, balance and experiment. Also an incredibly informative video, I appreciated his decorating insights and the insider intel on the Schumacher newletter! Thank you for such worthwhile viewing and reading. He is fabulous and this video is fabulous! Such a treat – you never disappoint! This is so interesting. Often I am turned off by colorful interiors because they feel either too bohemian or too modern/trendy/cheap/soon-to-be-regretted for my tastes. 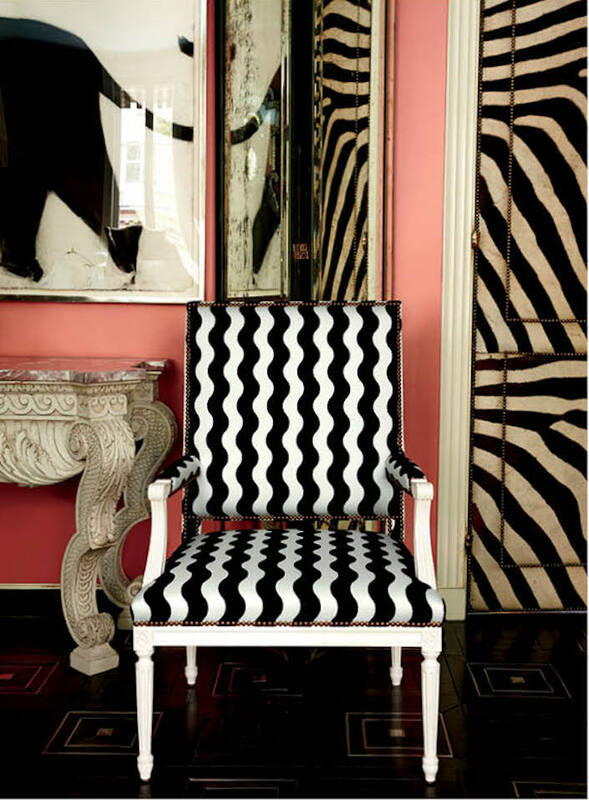 Miles Redd manages to make color look classic, timeless, but not boring or staid. Your detailed shots are very instructional. Swoon. I’m a long time admirer of Mr. Redd’s colour virtuosity and style but seeing the flow and juxtapositions of rooms through video added an entirely different dimension, allowing us to see (some) rooms we’ve seen a thousand times in an entirely different light along with some new areas. How light comes through the windows, how he groups art and where (everywhere! ), and small touches I’ve missed before reveal the master’s touch. Many thanks to your team and to Mr. Redd for sharing this. Thank you Lyn! This is exactly why Susanna and I do this video series. 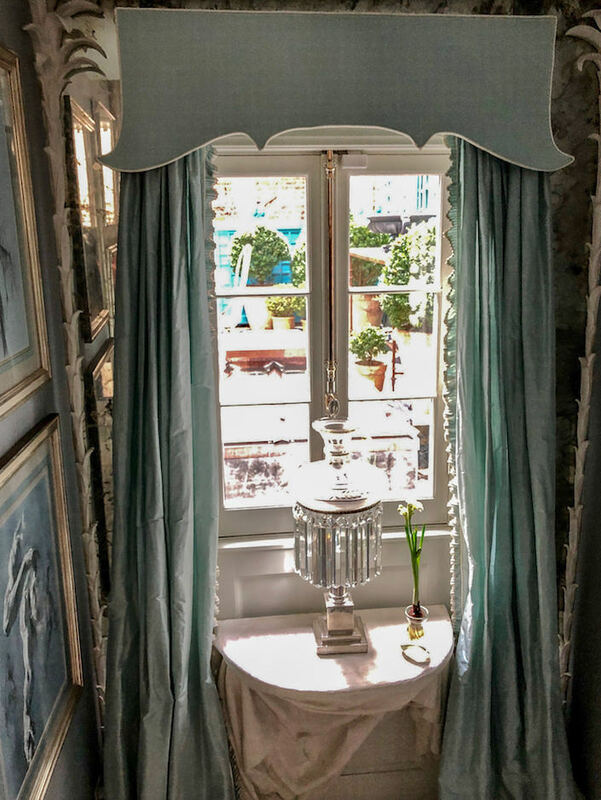 Even if you have seen images of these homes in print, it is an entirely new dimension on “film” – not to mention seeing and hearing the designer’s thoughts and vision in person in situ! I heard Miles speak a year ago and he was fabulous! Great video, really captured this charming designer. Miles is the absolute best!!! Thank you for the thoughtful questions you posed and the great video tour. Love your blog – well done! Loved this! So rare to see Miles Redd on film. Thank you Stacey and Susanna! Simply Sublime in every way! The colors, the textures, the comfort level and the sophistication are all on another level! J’adore it all….Hearts and Flowers for Miles Redd!! Miles Redd always make’s me want to do more with Home ! What a treat! Thank you Miles for sharing your home & office with us. Your work is inspiring! 86 queries in 0.728 seconds.